Today we’re going to look at how businesses generate revenue from their blog and content marketing. We’re even going to show you how to do it, so you can replicate the sales results. Blogging used to be something people did part time, for fun. Much like a diary or journal, blogging was a place to keep memories and write about an experience. Now, that’s all changed. It’s not even called a “blog” anymore. It’s called “content”, and you should be doing it to drive your sales. You’ve probably heard a lot about content marketing. Maybe you’ve even started a blog. What you may not know, is that most businesses are not treating it as a small piece of their marketing. 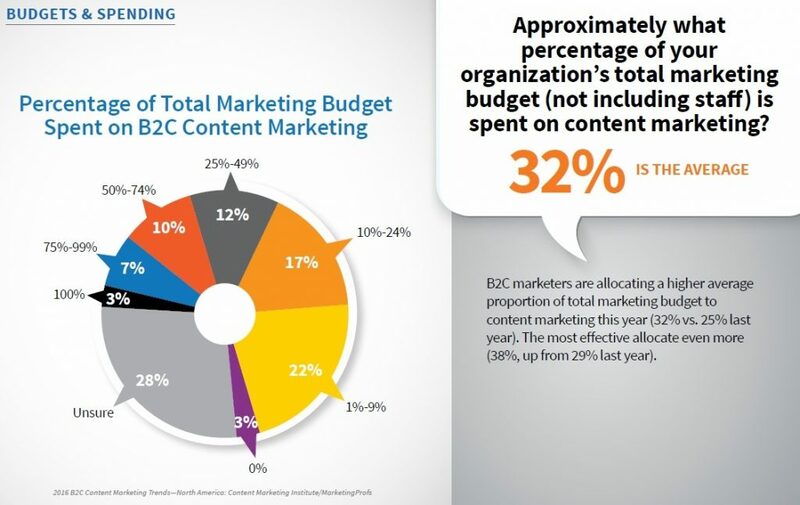 Whether you’re B2B or B2C, content marketing makes up 30% of the marketing budget. If you’re thinking well, I don’t sell to consumers, I sell to businesses. Great. But if you don’t think business owners read blogs, the best proof I have is to point out that you’re reading this one right now. 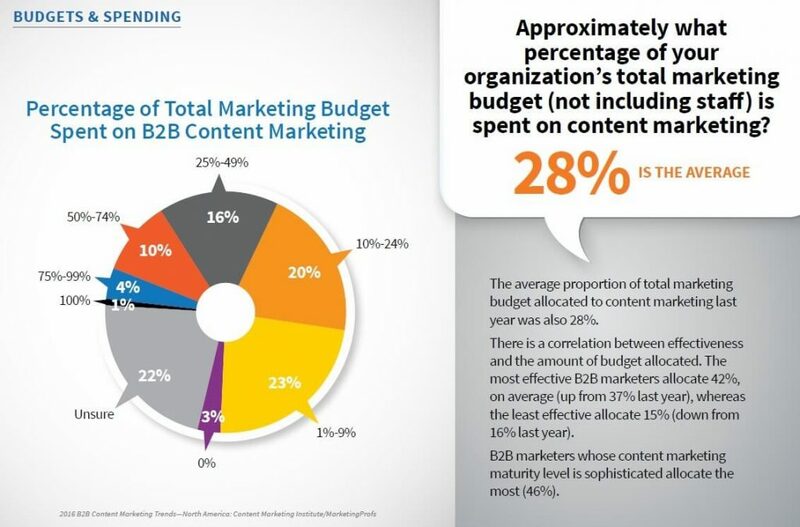 If you’re looking for statistical proof, you’ll see that B2B budgets are almost the same is B2C. It’s not magic, it works. That’s why one-third of every marketing dollar is funneled into content. When you find a winning formula, you stick with it. Now that you know that businesses are taking it serious, you may ask why? How does a business make money off content marketing? There are three major reasons businesses invest so heavily in content marketing, and it’s no surprise that every one of them has to do with attracting customers. How It Works: If you’re a pet store and you have articles about pets – how to take care of them, when you should get vaccines, what food to buy, etc – people are looking for these answers, and you have them. It’s rather simple really. If someone wants to know what type of food is best for their dog, they’re going to google that exact question. If your blog has an article about how to choose dog food, you’re now somewhere on the list of search results. SEO makes demands. Content marketing fulfills those demands. How It Makes Sales: If someone is looking for what type of dog food is best, they’ve now found your site via Google. They read the article about choosing dog food. You have become the expert. You also sell dog food. Who would you buy dog food from? A random store, or the expert that pointed you in the right direction? What if they have more questions, who are they going to ask? Congrats, you made it on the shopping list. Let’s put it another way. Joe’s Pet Shop has a simple website with hours and brands. Jane’s Pet Shop has a website with hours and brands – but also a section about how to take care of your dog, what you should feed them, training techniques that work, easy ways to give your dog a bath, how to remove fleas, etc. Which website are you going to spend more time on? Who are you going to ask if you have a dog question? Which store do you think will offer you more information in store? What business would you feel more connected to? Which one has more of a sense of community? Exactly. Consumers go with those they trust to get the right answer and experience. Content builds that trust and community. How It Works: Regular updates add more and more content to the site (having 100 pages is better for SEO than 10, and having 2000 pages is better than 25) which gives you the opportunity to show up in more searches. More importantly, Google loves a fresh and updated site. Former Google Fellow Amit Singhal once explained how “Different searches have different freshness needs.” The implication is that Google measures all of your documents for freshness, then scores each page according to the type of search query. If Google is showing results for “best pet food” – is it more likely to show an article from 2007 or 2017? Products change. Answers change. Google knows this and weighs results accordingly, If you wrote 100 blogs in 2007, and have done nothing since, you may have come out of the gate hot, but your competitor has long overtaken you by writing and publishing just one blog a month over the last decade. How It Makes Sales: When looking for any product, the latest information is always preferable to decade old material – even if the product hasn’t changed much. Keeping with our pet theme, 10 years ago, pet allergies were not as well known. Now you can buy grain-free food, raw food, single ingredient food, and so on. If you’re going shopping, are you going into a store that stopped bringing in new products and information 10 years ago? Probably not. Attracting customers with new information against positions you as the expert. 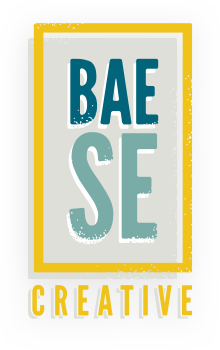 Forget SEO for a second. What if I told you that you could bypass search engines completely, and get the customer before they even know they needed you? Or bring back customers who only came in for one bag of dog food? How It Works: Keep your relationship fresh with the customer by adding new content. Much like a friendship, you need to nurture the ongoing relationship to keep it meaningful. Now that they’ve bought the dog food, maybe they’d like to hear about a new loyalty program, or a great new product that will cut grooming time in half, or dog treats that are even healthier. Post this content to a newsletter, or facebook group – after asking your customer to follow you. How It Makes Sales: The ongoing content has the added bonus of not only providing useful info, but keeping you top of mind with the consumer. That can lead to a very big bonus: referrals and repeat business. When trust is established, past customers will open your emails and pass them along to friends when relevant. And when people in their social circle ask for a recommendation, your name will be first on their list because your regular emails will keep you top of mind with them. 78 percent of consumers believe that companies providing custom content are interested in building good relationships. Wouldn’t it be great if one of your customers talked to their friend about how you solved a problem for them before the friend even searched Google for an answer to their problem? Word-of-mouth is extremely powerful, and ongoing content helps. These are just a few ways content marketing boosts your business. If you don’t have blog, get one. If you don’t have time to blog, hire someone to handle content marketing for you. It’s one of the fastest growing marketing tools for a reason.